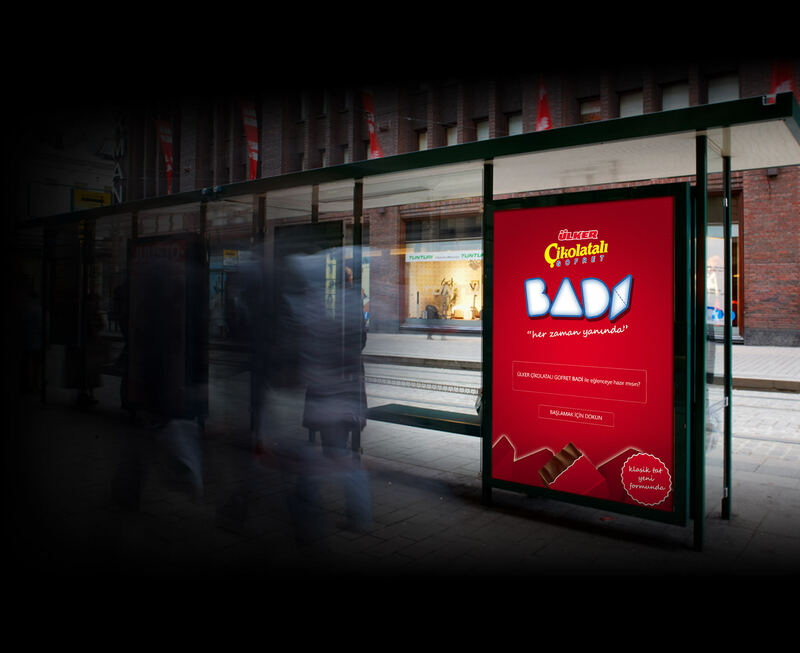 A concept for "Ülker Chocolate Wafer", the best-seller choco-wafer in Turkey that makes eating wafer more interactive and social. 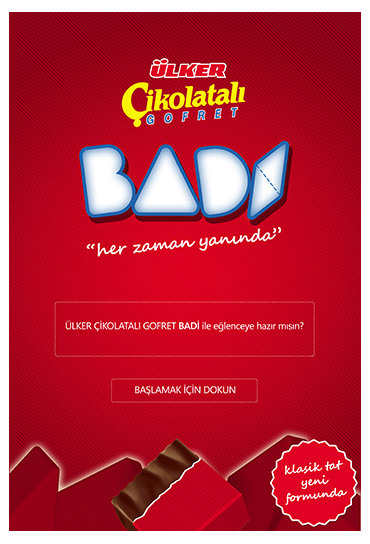 Brief: Envision a new product for Ülker Chocolate Wafer family and create a marketing communication campaign. About Yildiz Holding: Yildiz Holding is a Turkish conglomerate that is best known for its food products manufacturing. The company also produces other consumer goods and has its own retail, private equity, and real estate operations. 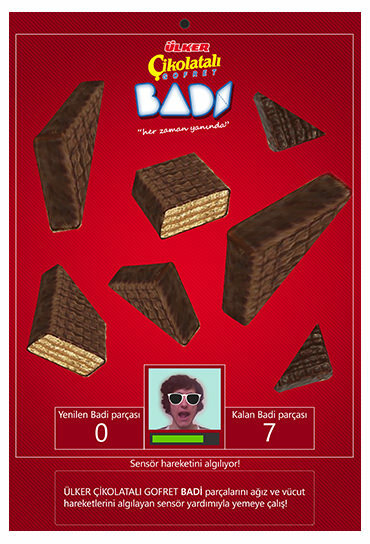 Yıldız Holding has over 300 brands available in more than 130 countries such as Ülker, Godiva, McVitie's. 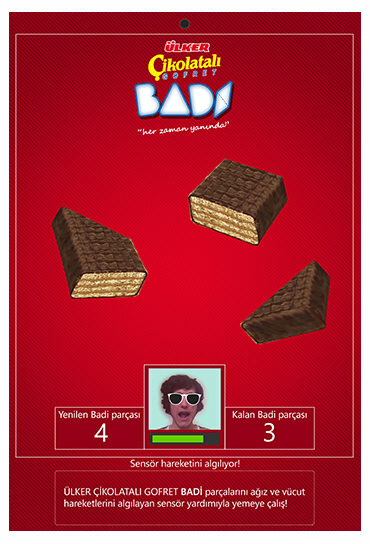 Badi gamifies the chocolate wafer eating and sharing experience. 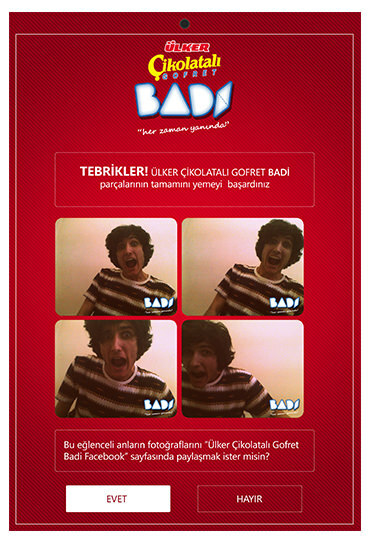 It personalizes the ‘Ülker Chocolate Wafer’ as a ‘buddy', who stays with the users in both their happy or sad times. A buddy, who cheers one up and becomes a friend with. Friends! 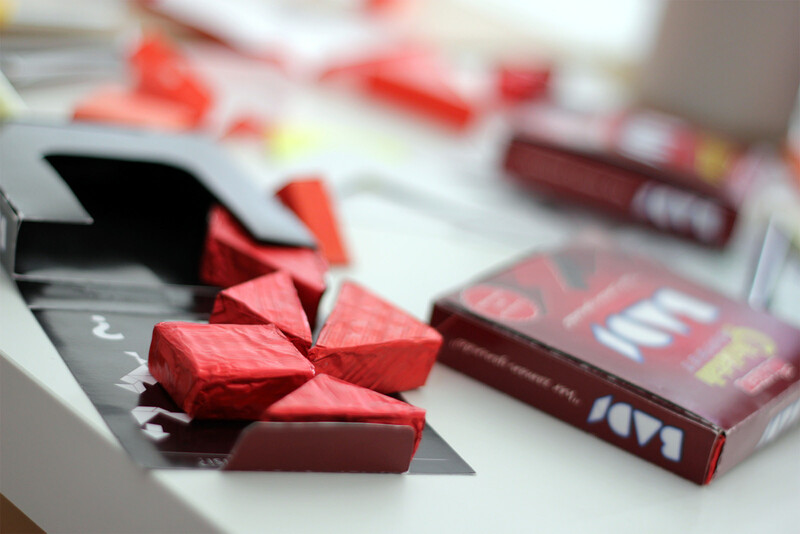 Is there anyone, who doesn't like Ülker Chocolate Wafer? Imagining a new product for the Ülker Chocolate Wafer family, the market leader, which is sold daily over five million in Turkey. sold daily over five million in Turkey. Tangram is a timeless dissection puzzle, which consists of 7 flat shapes, called tans, which are put together to form shapes. The objective of the puzzle is to form a specific shape using all pieces, which may not overlap. 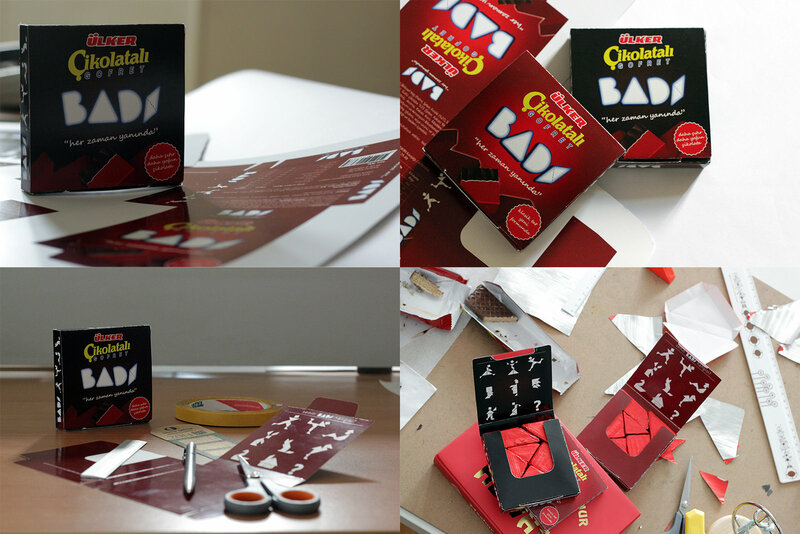 We also envisioned an augmented packaging to enrich the products’ fun factor and create a perception of novelty effect on the user by increasing the engagement of the interaction. 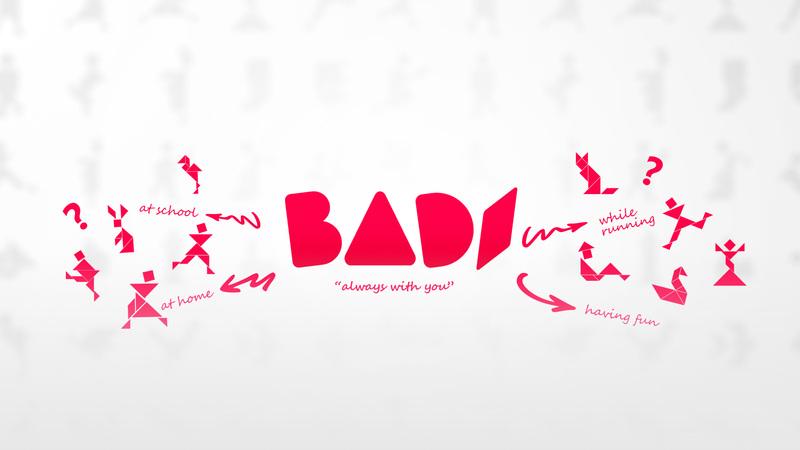 To get passer-bys’ attention, we designed a digital Billboard game. After touching the start on the display, pieces of wafers begin to fall from the top of the screen. User tries to eat all pieces by making a ‘bite’ gesture to the camera. After the game finishes, the user is also able to share his achievement through the social media.